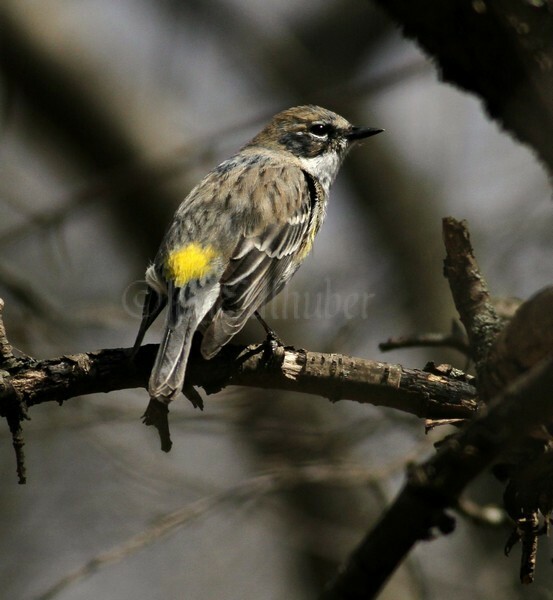 Yellow-rumped Warblers at the Waukesha Fox River Sanctuary April 8, 2014. I spent a short time down at the Fox River Sanctuary in Waukesha today and observed my 1st Yellow-rumped Warblers of the season. There were 3 present and they were hopping around in the trees eating what appeared to be small insects. 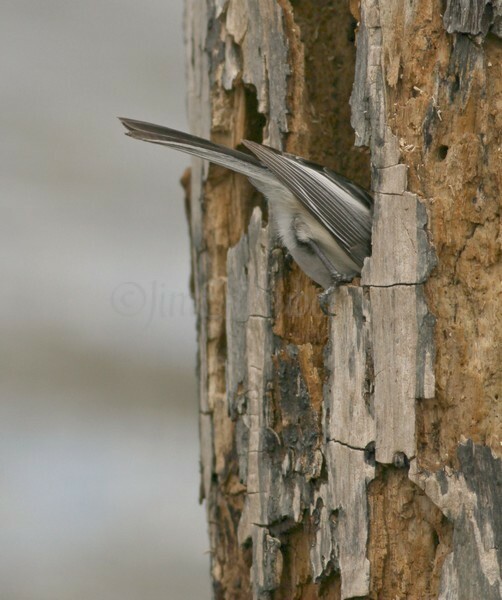 I also enjoyed watching 2 different Black-capped Chickadees and 1 Red-bellied Woodpecker excavating nest cavities in dead trees while I was there. The sun felt nice, but it was chilly when it clouded over with the steady breeze. Habitat: Open coniferous and mixed coniferous-deciduous woodlands and edges. Diet: Insects are their main diet, but depend on berries when insects are not available. Nesting: The small shallow cup nest is built on a horizontal branch of a tree any where from 4’to50’ from the ground. The nest is constructed of grass, twigs, rootlets, with a inter lining of feathers with plant fluff that drapes over the edge of the top of the nest and partially covers the eggs. Female sits on 3-6 eggs that are white and incubates them for about 12-13 days. 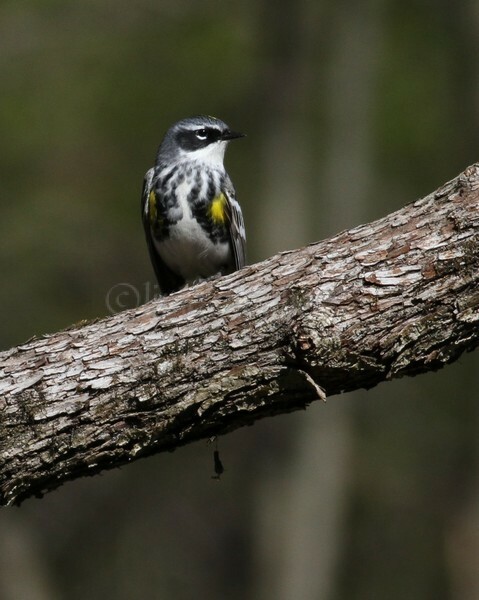 Notes: The Yellow-rumped Warbler is known for one of the earliest warblers to arrive in spring and one of the last to leave in fall. 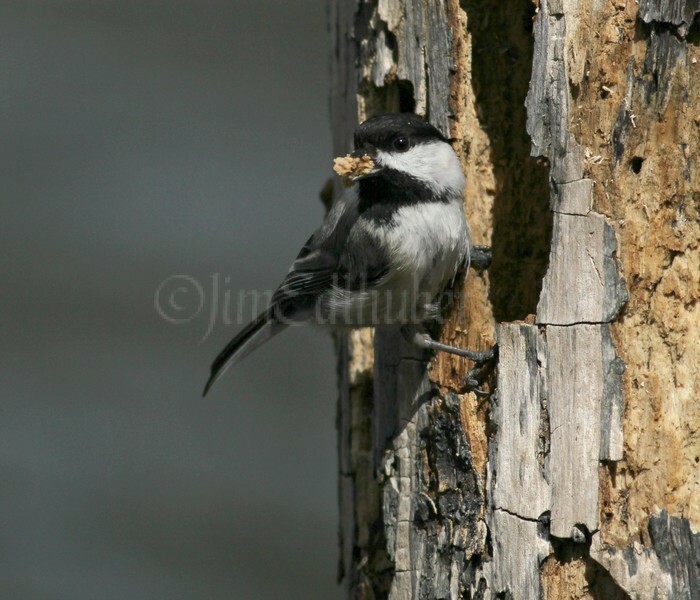 Black-capped Chickadee excavating a nest hole in a dead tree. 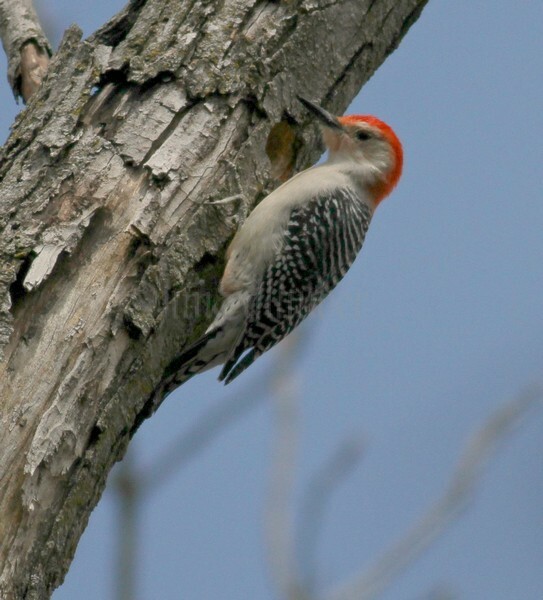 Red-bellied Woodpecker excavating a nest hole in a dead tree.